In this section we shall present the tools we are using to locate/find/hunt/rip tunes from subjected Amiga files we find during our massive scan. Update 01 Oct 2018: "ProWizard 4 PC" was added as a 4th scanning tool. 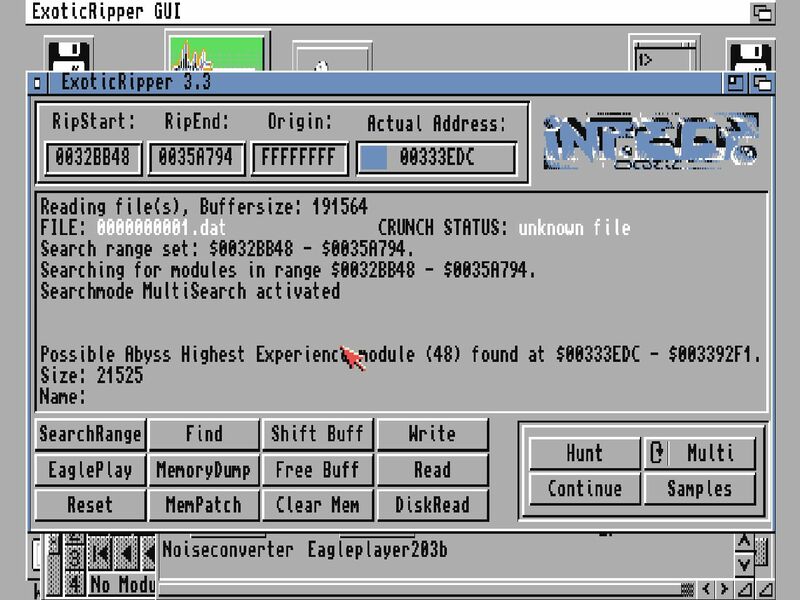 We have earlier mentioned our own tools, but also we're gonna use tools on the Amiga side (running inside WinUAE) for getting ripped tunes out of files. The most important part of this is to fully automate everything, even if the software used does not support command lines directly. The solution was to use a bunch of standard tools, bat files, my own tools, rexx automation scripts in a delicate mix. Luckily Pro-Wizard has command line support via CLI, in which one could automate a bunch of scanning. The syntax is as follows: "Pro-Wizard path:file AC AE". 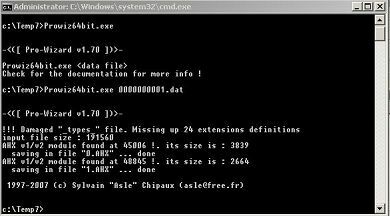 However, in our procedure only "AE" was used as the rest was done by bat file and rexx script. ExoticRipper does not feature any command line support apprantly, so we need to automate it with fakekey and other trickery. Either by GUI version or just the plain shell format version. 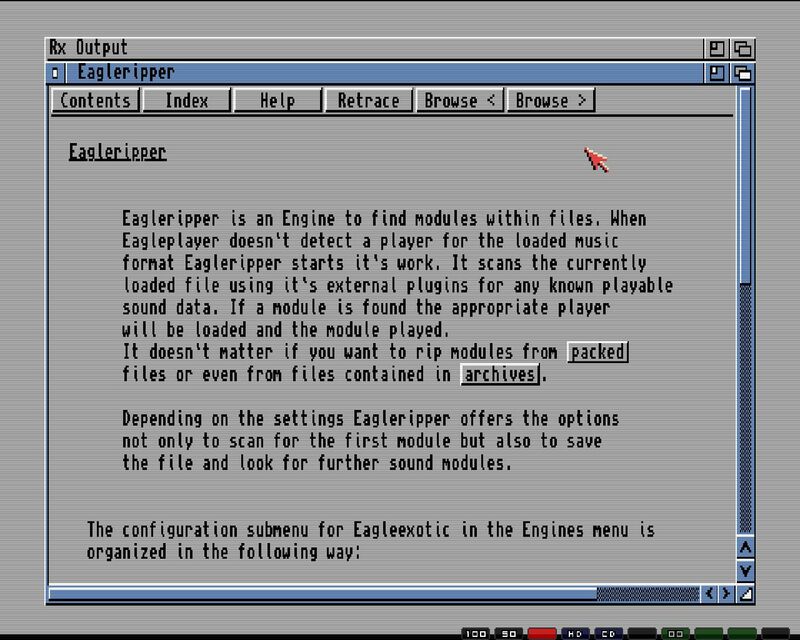 Eagleplayer's own engines "Eaglerippers" which are small mini tools that when activated will scan any file loaded for possible tunes. 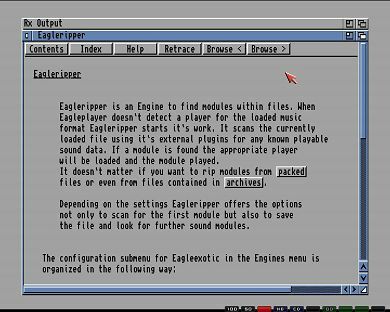 From our 28 million Amiga files archive, I was able to find hits for 451 files specifically located inside "Eaglerippers" directory. However, after a quick MD5 checksum comparision, we ended up with the following unique rippers + some variants we can use in our hunt. You may download these at the bottom of page. I believe that these are most likely the only ones available and not much more of these (and variants) exists out there. Hopefully this tool will also detect and rip out music automatically for us. Note: The order is alphabetically arranged with the extensions. Pro-Wizard (for PeeCee) when a music is ripped. "child's play","easy","some job","good job","hard job". 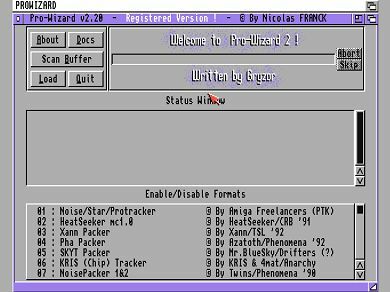 (CRB) Heatseeker mc1.0 Amiga some job hard job ! (PHA) PHA Packer Amiga some job hard job ! (TP2) Tracker Packer v2 Amiga easy hard job ! (TP3) Tracker Packer v3 Amiga easy hard job ! * only 7 I'm working on that. about 59 formats recognized now !. Pro-Wizard focuses on typically tracker variants and their numerous packers that existed. Good thing is that Pro-Wizard can scan and find signatures in any binary file. I was wondering how to intercept a Eagleripper procedure and came up with a program called "show" (which can lists of lot of HW stuff, including screens and windows). The output of "W" is piped to PIPE:cool. Then a small arexx script reads the pipe data and just shows the incoming data. At this point we know that Eagleplayer managed to find a module and can then use Arexx to execute "fakekey" to press the "S" for Save, and then also "C" for continue if there was other modules. Quity nifty trick to get past those user intervention required scenarios.